Alice Notley has become one of the most highly regarded figures in American poetry, a master of the visionary mode acclaimed for genre-bending book-length poems of great ambition and adventurousness. Her newest work sets out to explore the world and its difficulties, from the recent economic crisis and climate change to the sorrow of violence and the disappointment of democracy or any other political system. 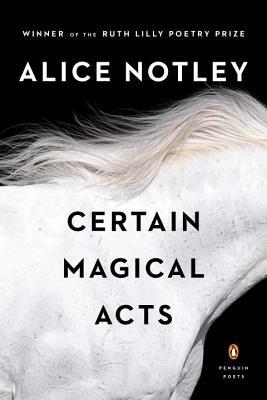 Notley channels these themes in a mix of several longer poems - one is a kind of spy novella in which the author is discovered to be a secret agent of the dead, another an extended message found in a manuscript in a future defunct world - with some unique shorter pieces. Varying formally between long expansive lines, a mysteriously cohering sequence in meters reminiscent of ancient Latin, a narration with a postmodern broken surface, and the occasional sonnet, these are grand poems, inviting the reader to be grand enough to survive, spiritually, a planet's ruin. Alice Notley was born in Bisbee, Arizona in 1945 and grew up in Needles, California. She is the author of over 35 books of poetry, including Mysteries of Small Houses (Penguin, 1998, winner of the Los Angeles Times Book Prize and a finalist for the Pulitzer Prize); Disobedience (Penguin, 2001, winner of the Griffin Prize); and Grave of Light: New and Selected Poems 1970 – 2005, which received the Lenore Marshall Poetry Prize. Her honors also include an Academy Award in Literature from the American Academy of Arts and Letters and The Shelley Memorial Award from the Poetry Society of America. She lives and works in Paris.